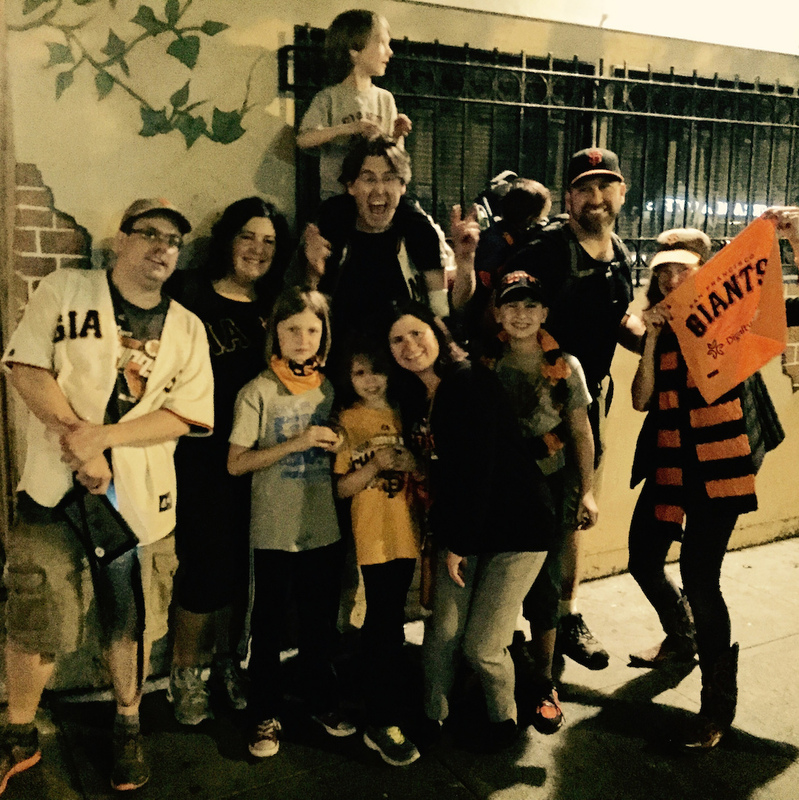 Giants Win Another World Series, But What About the Children? For better or worse, San Francisco has become rather skilled at winning. 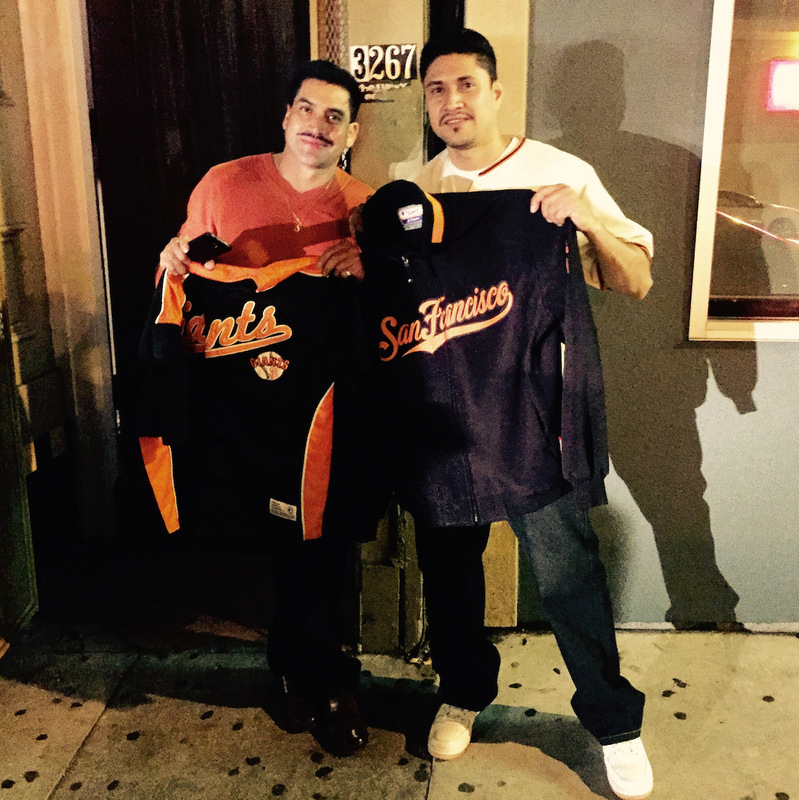 Case in point: Last night’s World Series victory by the San Francisco Giants, the team’s third World Series victory in five years. Super- mega- extra- gold stars for the Lundy’s neighbors who made the al fresco World Series happen. That was as good as it gets. Much of the honking car horns was coming from minivans full of parents and their excited children participating in an ad hoc parade. Much bouncing ensued. And lifting, and tilting, and and flag-waving, and cheering. 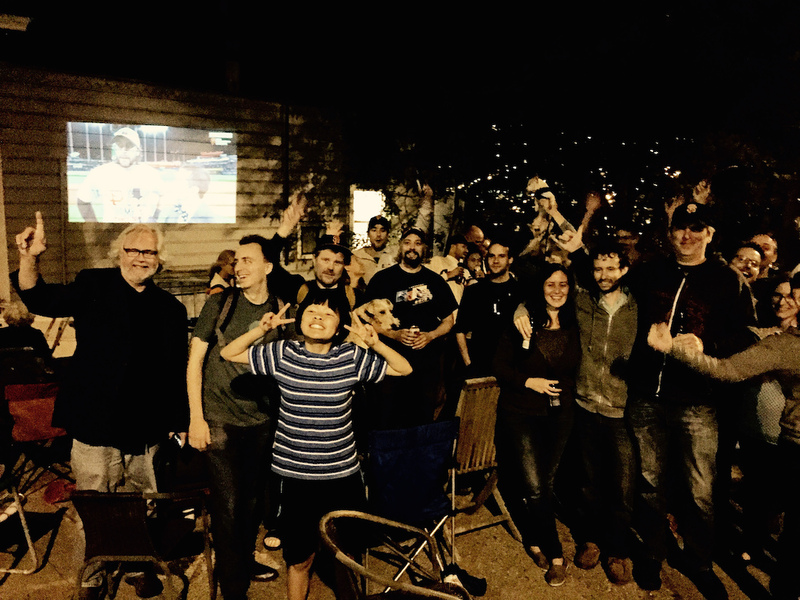 There were some firecrackers, and lots of laughing and high-fiving, and in general, there was a lot of euphoria but not a lot of mayhem on our stretch of Mission Street. 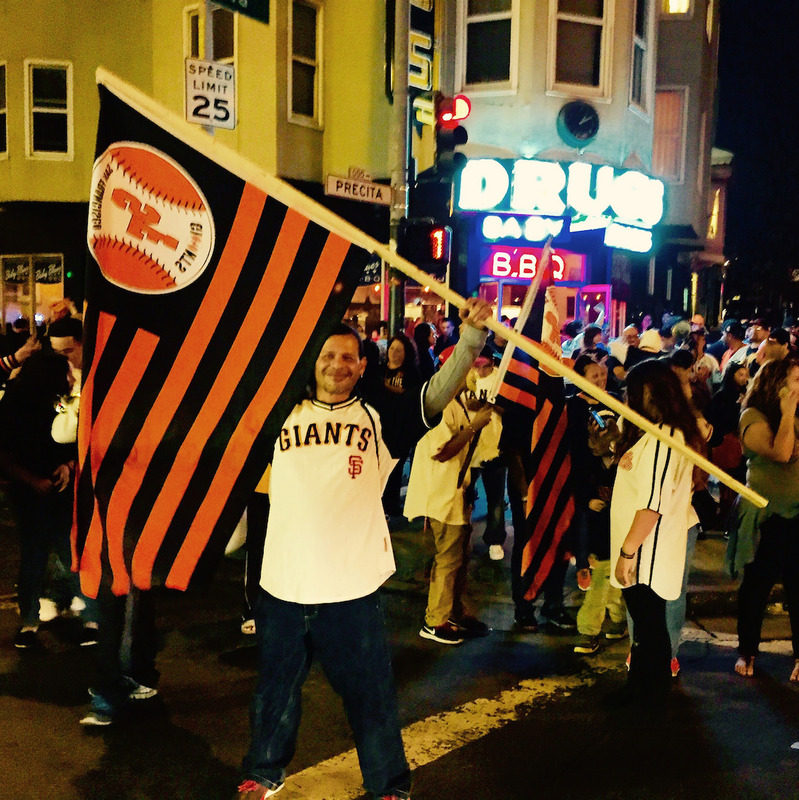 Because overall, San Francisco is getting very good at winning. Yet herein lies an insidious peril, particularly for the children of Bernal Heights. have become a familiar event. Victory is the only thing they have ever known. 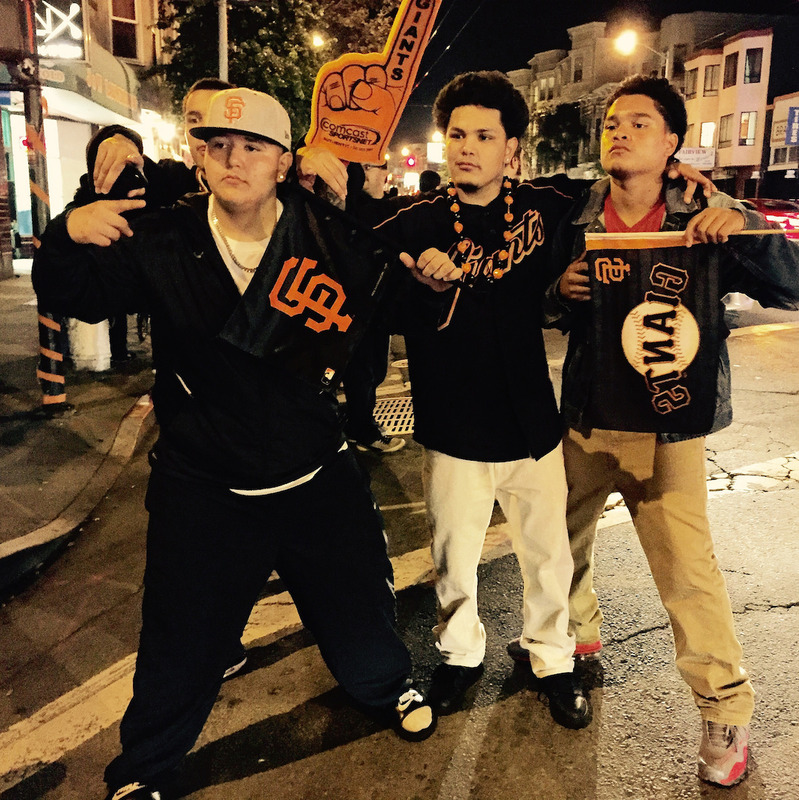 The whole “win the World Series, whoop it up around the neighborhood, then go to sleep to the sound of news helicopters hovering overhead” … this has become a familiar ritual in their young lives. But the ballfields – beautiful ones at St. Mary’s Park and on Day Street – are so frequently empty. Don’t these kids play ball. Just watch and wear the paraphernalia. My son played a number of SFBYL and CYO baseball games on the Holly Park diamond. And his teams practiced at Day Street. There really is a lot of Youth baseball activity hereabouts. Good to hear. I’ll have to look more carefully. I’m always up for some practice batting and fielding. Let me know and I’ll show up. I grew up in the Bay Area in the 80s and my favorite football team, the 49ers, won the Superbowl just about every couple of years, so that’s what I got used to. Then I became an adult and they haven’t won since. Oh well, at least they’ve been in contention the last few years. Hmm. 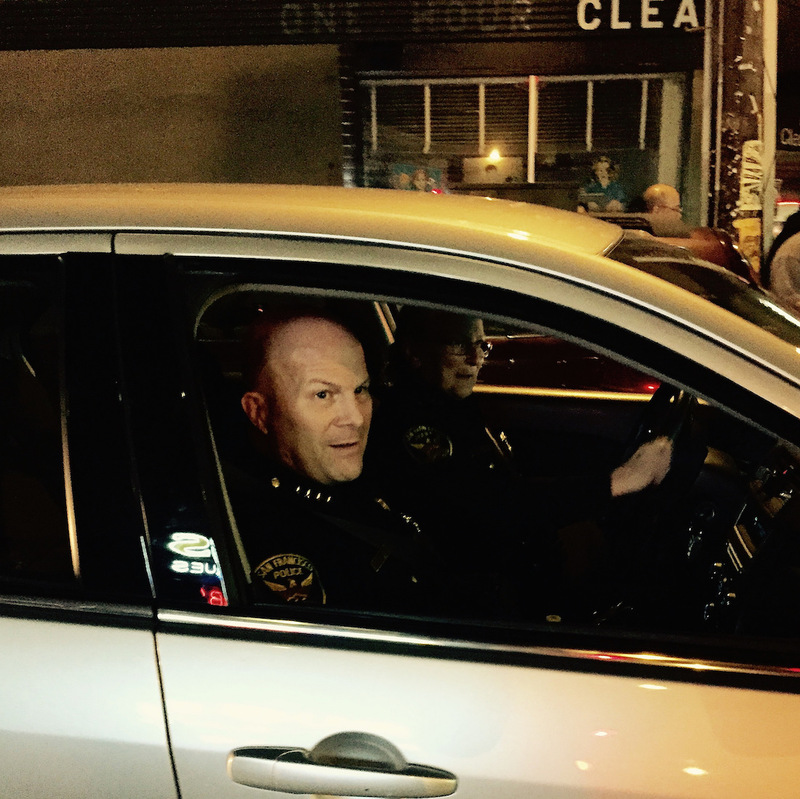 Well, I heard about broken car windows with stealing in Bernal. And, from my home on Precita Park, it sounded like a war zone. And from my job at the Health Dept, I hear that 2 people were shot (from the victory shots aka “what goes up doesn’t necessarily come down, does it?) & one stabbed. But then I’m a watching-boys-play-games kill-joy (whoop-dee-doo) and a total sports unenthusiast – so it’s all just so, well, strange and foreign. But, we are everywhere you know, there may be one living next door to you or even, gasp, with you. I personally give the city big props for a very well-organized response (yes, they are getting good at this). Pulling the Muni buses was an act of brilliance. And an all-hands-on-deck response, was smart. Even Greg Suhr was out – nice. And, this morning, much to my surprise, Mission Street looked cleaner than I think I’ve ever seen it. Impressive. Around Civic Center, not so much. I guess they’re not going to work so hard knowing that it’s going to get trashed all over again tomorrow. Bah-humbug. Bah Humbug, you’re a downer. So you don’t like sports; fine. Lots of folks do and live and die with their teams, their identification w/ players, joy of winning, etc. Personally, being from Boston, I’m happy for Giants and will wait til next year when my Sox win it again. They’re going to start trading even and odd years with SF. Sad that a bullet hit someone, yes, but, bullets not new to city life. 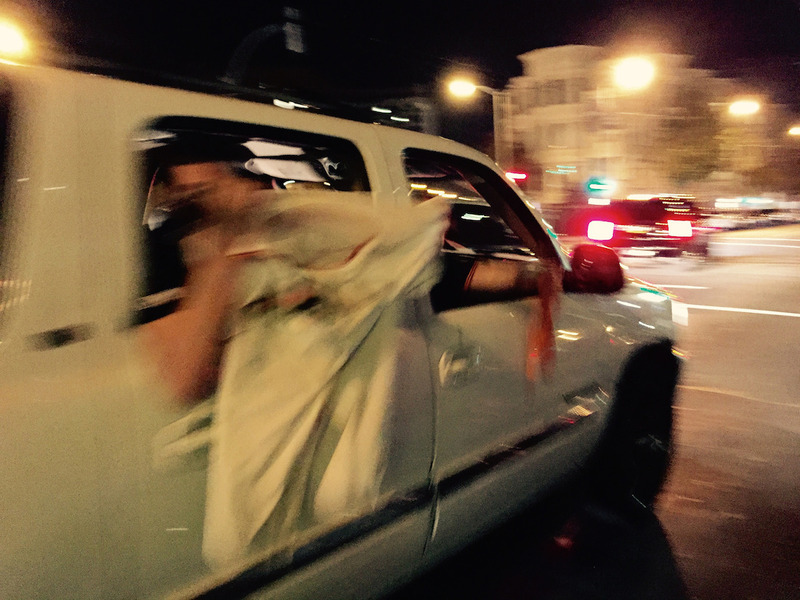 I thought the SFPD and City did very well with allowing the boisterous fans to celebrate in the streets, while keeping things, people and proprerty as safe as possible. I BELIEVE in low self-esteem. When kids grow up with high self-esteem they are conditioned to expect everything to be perfect for them, and they expect that they themselves are perfect and damn the people who don’t see how perfect they are. Narcissism is NOT a pretty thing. Meanwhile, when you grow up with low self-esteem you strive to get better or you switch to other endeavors where you can be better. It would have done no good to praise me and my clarinet playing in 4th grade. I was sucky. I knew it. My parents knew it, too, and stopped with the private lessons early enough that I switched my interest to electronics where I excelled. So, I encourage people to do two things: (1) Help foster low self-esteem in your kids, and (2) embrace mediocrity. I am mediocre at everything I do — I’m a mediocre show promoter, mediocre board game player, mediocre software developer, mediocre cook, mediocre fiddle player, mediocre entrepreneur, etc. By embracing mediocrity and realizing that I NEVER will be great at anything I do, I am able to be happy at the things I enjoy doing and I don’t stress out about not being the best. You’re going to have to try harder before you rise to a level of mediocrity. I try to explain to my children what it was like being a hard-core Astros (Lastros) fan from approx 1997 to 2005, the first (and only) time they have appeared in the World Series (which they lost). Even more disappointing, I explain, was the ill-conceived change from the tequila-sunrise uniforms to understated neutrals in 1994. But I might as well be explaining that you used to have to answer the phone without knowing who was calling, or that things you that wanted could not be instantly downloaded. They just don’t understand. They’re spoiled. Ahem, and make that 1977, not 1997. At least your Astros gave up on the youngster Hunter Pence and he found his way to the Giants. Much appreciated! I know I’m too late, but where is the elusive “Lundys Landing”? I had hoped to find it by walking up Lundys from Coso, or up Prospect and then cutting over to Lundys, I think via Fair. Thanks!